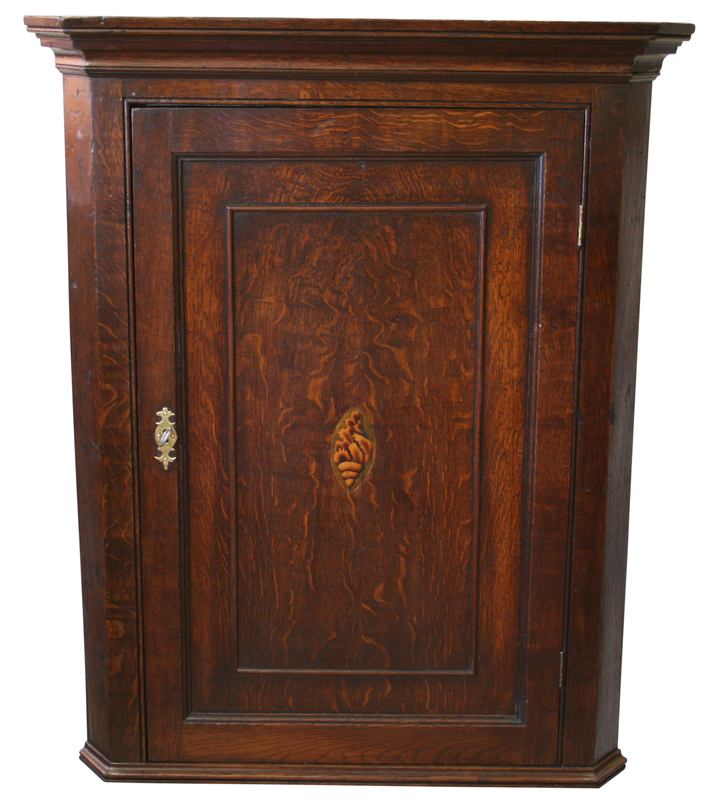 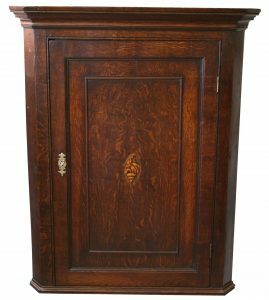 A Georgian oak corner cupboard. The moulded and crossbanded cornice is above a single solid door. 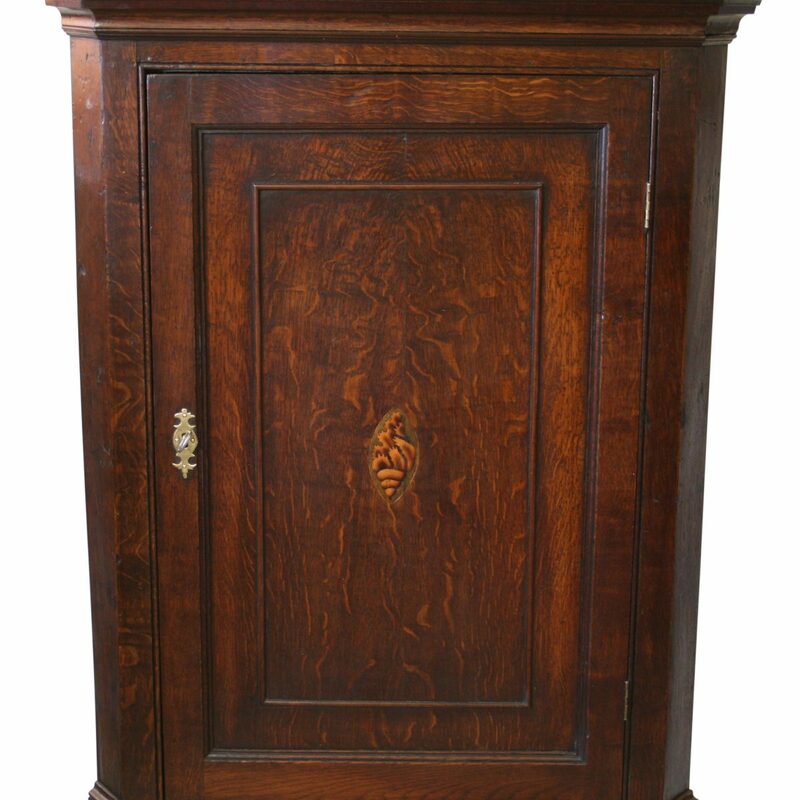 The door has a veneered shell panel in the centre, which is surrounded by a mahogany beaded moulding. 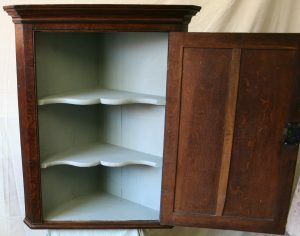 The painted interior has two shaped shelves and a base shelf.